5 in 1 petrol multi tool system. The Cobra MT270K 5-in-1 Multi-Tool is powered by a 27cc Kawasaki engine. 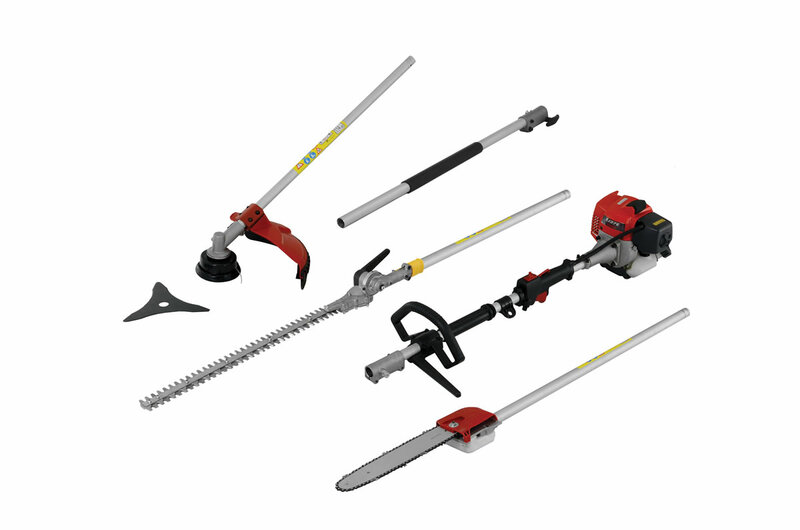 It includes 4 quality attachments - grass trimmer, brushcutter, pole pruner & long reach hedge cutter together with an extension shaft. Brushcutter attachment comes complete with a nylon tine, tap and go head. Also included is a robust guard for increased operator safety. Shaft length is 75cm. The quality nylon line is automatically readjusted by simply tapping the cutting head on the ground. 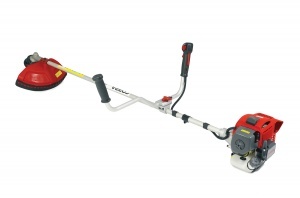 The newly released line is then cut to the optimum operational length as you continue using your brushcutter. 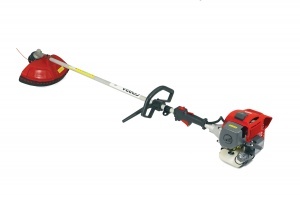 The brush cutter blade makes clearing larger areas of brambles, shrubs and saplings even easier. The result is a cleaner cutting system, stopping clogging enabling more efficient use of energy and easier handling. 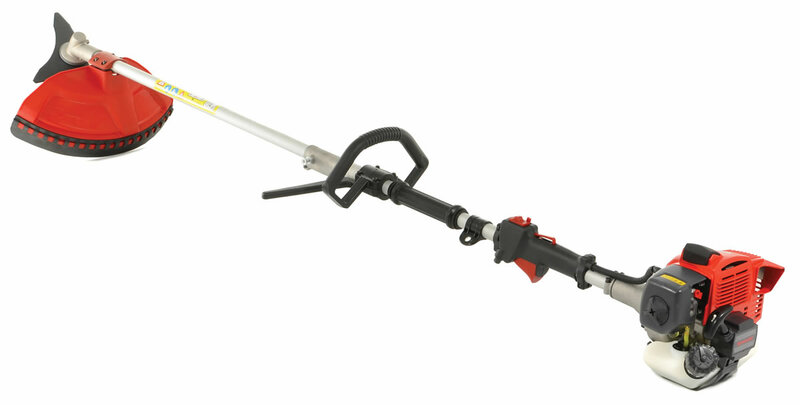 Pole pruner attachment comes complete with a 72cm shaft and is fitted with a 30cm / 12 inch high quality chainsaw bar and chain. 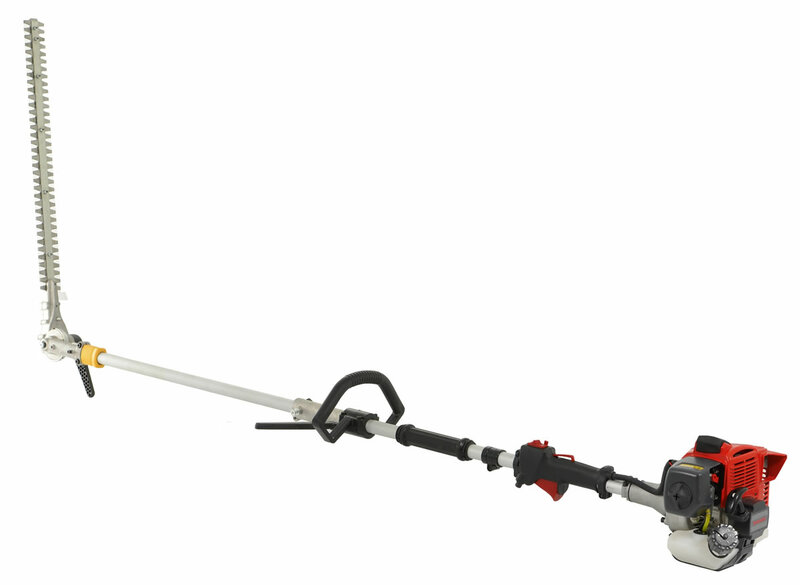 The hedgecutter attachment comes complete with a 72 cm shaft and is fitted with a 62 cm / 25 inch double sided cutting blade with a 30mm tooth spacing.